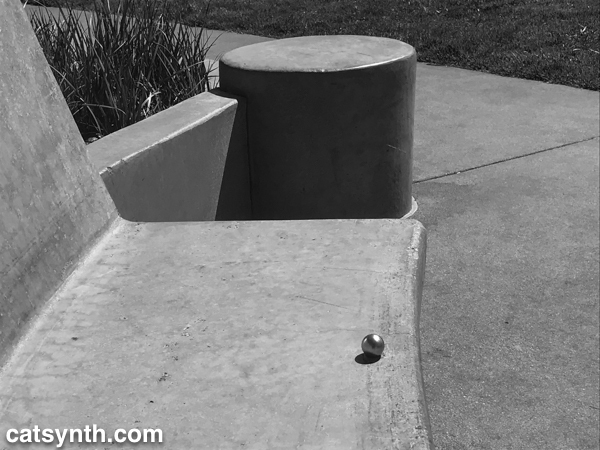 Posted on April 10, 2018 by catsynth	This entry was posted in Art, Photography, San Francisco, Wordless Wednesday and tagged Art, concrete, curve, lafayette park, line, metal, pacific heights, Photography, San Francisco, sphere, Wordless Wednesday. Bookmark the permalink. ← New Cartoon: Boink Boink Basement! Great shot 🙂 Thanks for hosting. Nice image, I love a good shot in black and white. So many shapes in that capture. And i love the light and shadows, too!